It is estimated that the earth’s surface is struck by about 500 meteorites a year, but only about 5 or 6 are large enough to be detected by weather radar instruments or their fragments recovered. Large collisions that leave discernable impact craters are thankfully, extremely rare events, that occur in intervals of thousands of years on average. For instance, stony asteroids of size 100 meter in diameter strike earth every 5,200 years on average. Such a collision would create a crater 1.2 km across and release energy equivalent to 3.8 mega-ton of TNT, or about a thousand times more powerful than the combined energy of both the Hiroshima and Nagasaki explosions. Larger collisions involving asteroids 1km in diameter are even rarer (every 500,000 years), and collisions with 5km objects are rarer still (once every twenty million years). The last known impact of an object of 10 km in size was the dinosaur killer that happened 66 million years ago. 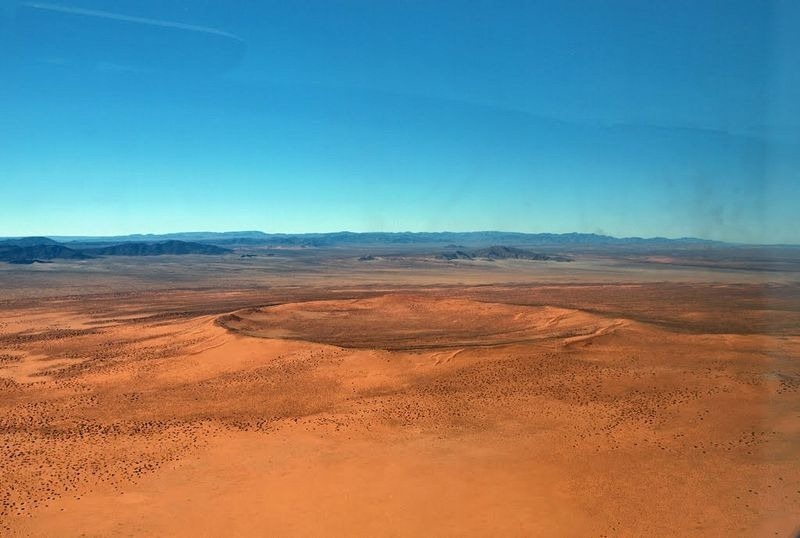 The Barringer Crater near Winslow in the northern Arizona desert of the United States, is not only the most beautiful and one of the best preserved impact craters on Earth, its discovery was a turning point in geological science. 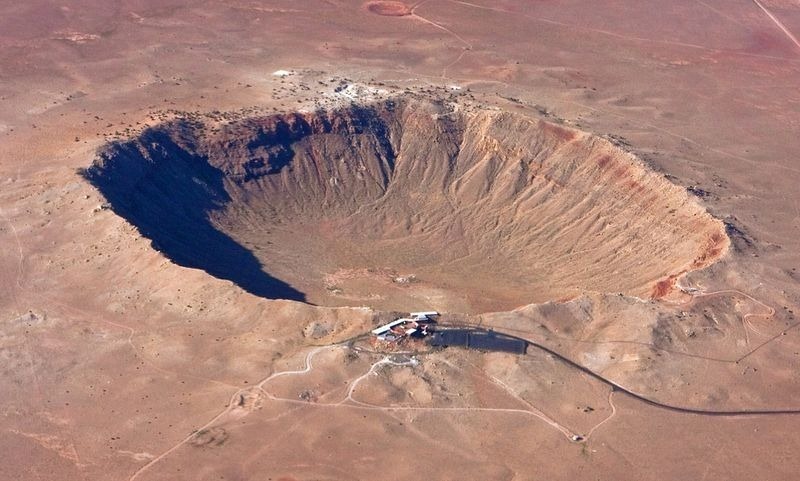 Before Daniel Barringer conclusively proved that the crater was created by a meteor impact and not by volcanism, geologists didn’t believe meteorites played any role in terrestrial geology. Even craters on the moon were attributed to volcanoes. Since Barringer’s discovery, numerous impact craters have been identified around the world. It is now widely accepted that meteor impacts have significantly shaped the earth’s geological and biological history — from the origin of water, extinction of dinosaurs to origin of life itself. 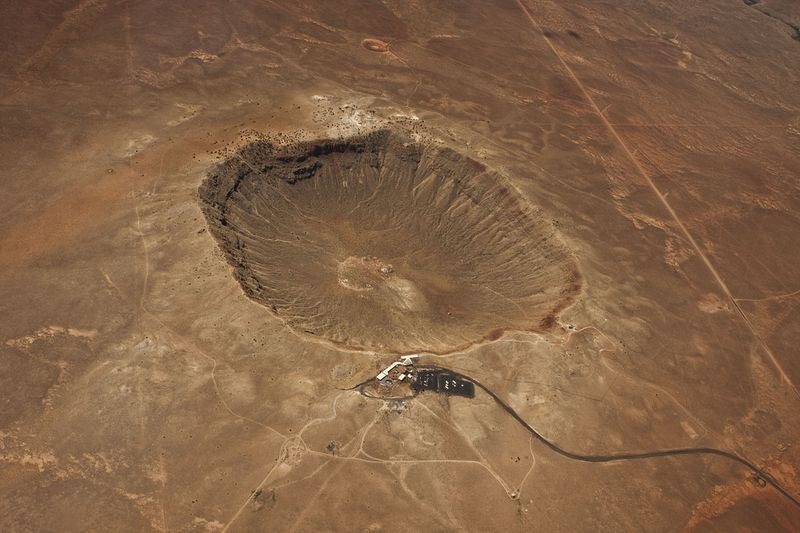 The Barringer crater is about 1,200 meters in diameter, 170 meters deep and is surrounded by a rim that rises 45 meter above the surrounding plains. It was formed 50,000 years ago. The Pingualuit Crater is located in Quebec, in Canada. It has a diameter of 3.44 km and was probably formed by an impact roughly 1.4 million years ago. 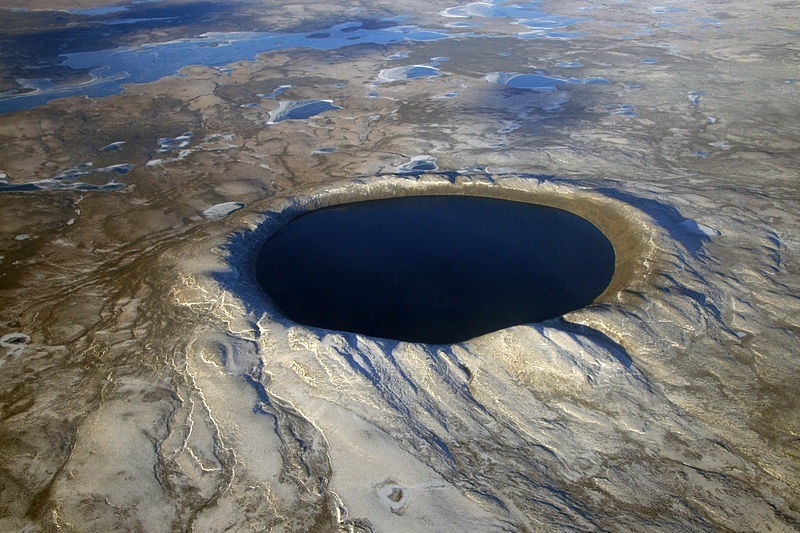 The crater rises 160 meters above the surrounding tundra and is 400 meters deep. A 267 meters deep body of water fills the depression, forming one of the deepest lakes in North America. The lake also holds some of the purest fresh water in the world, and has great visibility at 35 meters. 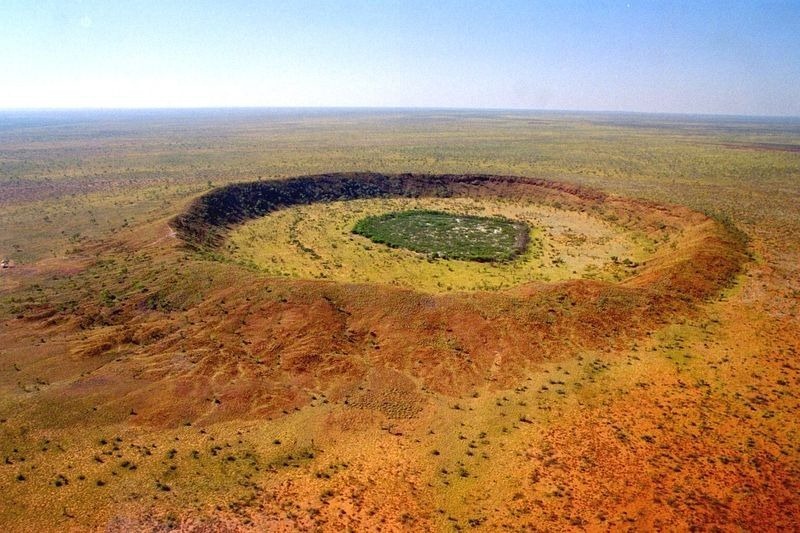 This well-preserved meteorite impact crater is located in the flat plains of the northeastern edge of the Great Sandy Desert in Western Australia, some 150 km south of the town of Halls Creek. It measures roughly 880 meters in diameter, and the mostly flat crater floor sits some 55 meters below the crater rim and some 25 meters below the sand plain outside of the crater. At the crater’s center, the ground rises slightly. Here grows some surprisingly large trees that draw moisture from the crater’s water reserves that remain after summer rains. Amguid crater is located in a remote and inaccessible region of southwestern Algeria. 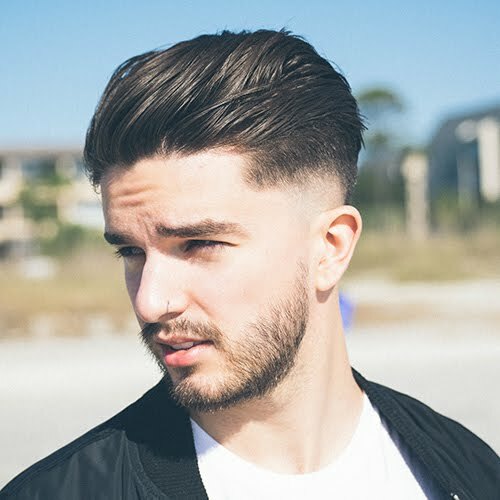 The crater is about 500 meters across and 65 meters deep, but the actual depth has not been measured as the crater is partly filled with a wind blown sand. The central part of Amguid crater is flat and covered with aeolian silts. These silts refract the light due to which the crater appears white when viewed from space. 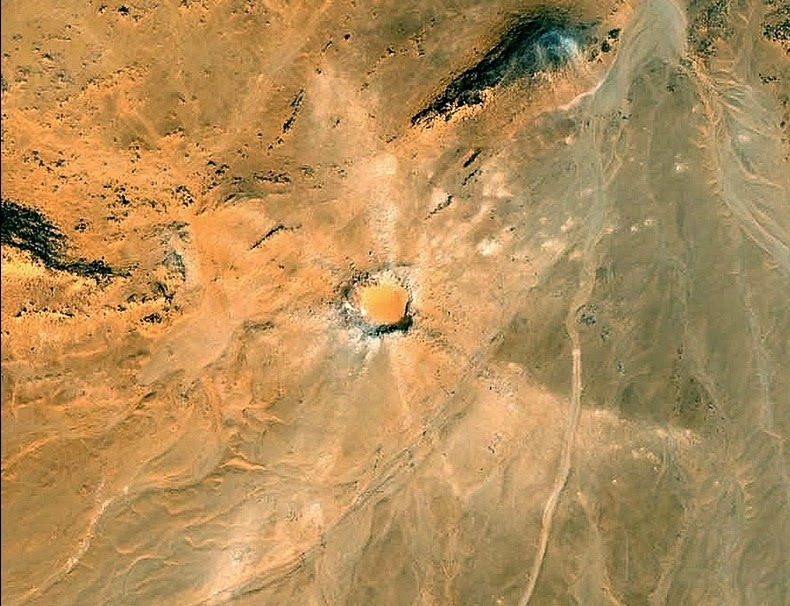 The Aorounga crater, in the Sahara Desert, in north-central Chad, in another well preserved crater. The crater is surrounded by concentric rings which scientists believe resulted from three successive impacts by a large meteorite that broke up into pieces just before striking the earth. The event is thought to have occurred 345 million years ago. The central highland, or peak, of the crater is surrounded by a small sand-filled trough; this in turn is surrounded by a larger circular trough. Linear rock ridges alternating with light orange sand deposits cut across the crater. These were named Yardangs and were formed by wind erosion of exposed rock layers in a unidirectional wind field. The wind blows from the north-east at Aorounga, and sand dunes formed between the yardangs are actively migrating to the south-west. 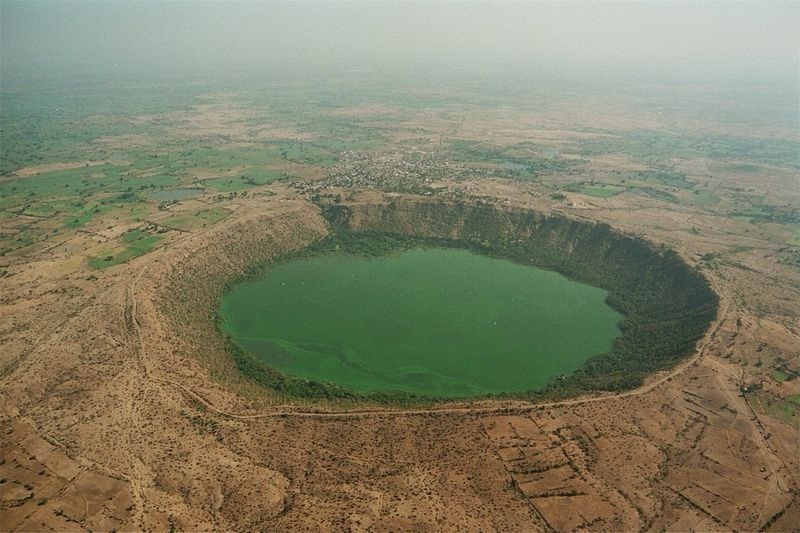 Lonar crater is located in a small Indian village of Lonar in Maharashtra. The crater was formed about 52,000 years ago when a gigantic chunk of rock crashed into this place creating a hole 1.8km wide and 150m deep. Over time perennial streams transformed the crater into a lake. Gosse's Bluff is located in the southern Northern Territory, near the center of Australia, about 175 km west of Alice Springs. 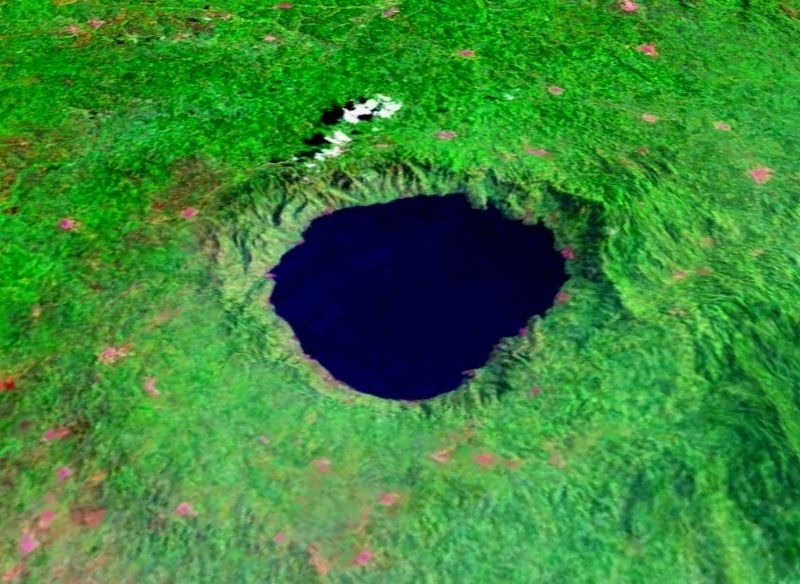 The crater is thought to have formed by the impact of an asteroid or comet approximately 142 million years ago. The original crater rim was 22 km across but has been eroded away. The 180 meters high, 5 km diameter structure that is visible now is the eroded remains of the crater's central uplift. 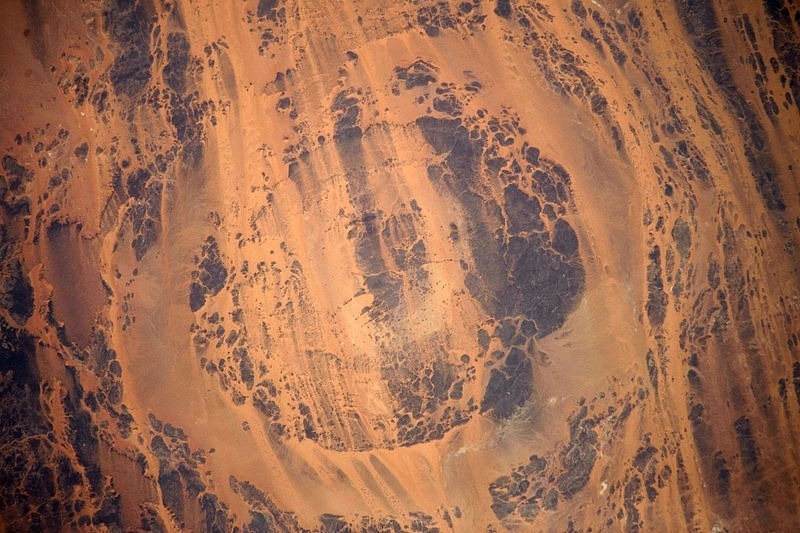 This crater is located Mauritania, in the western Sahara Desert. It’s a near perfect circle of diameter 1.9 km with a rim 100 meters high. The age of the crater is estimated to be between 10,000 and 30,000 years. Tswaing crater is in South Africa, 40 km to the north-west of Pretoria. The crater is 1.13 km in diameter and 100 meters deep with an estimated age of 220,000 ± 52,000 years. Surface springs, ground water and rain water have filled the crater and turned it into a lake rich with dissolved carbonates and sodium chlorides which was harvested until 1956. Roter Kamm in Namib Desert is 2.5 km in diameter and is 130 meters deep, but appears like a very shallow depression because the floor is covered with 100 meters of sand. It was formed between 4 and 5 million years ago. 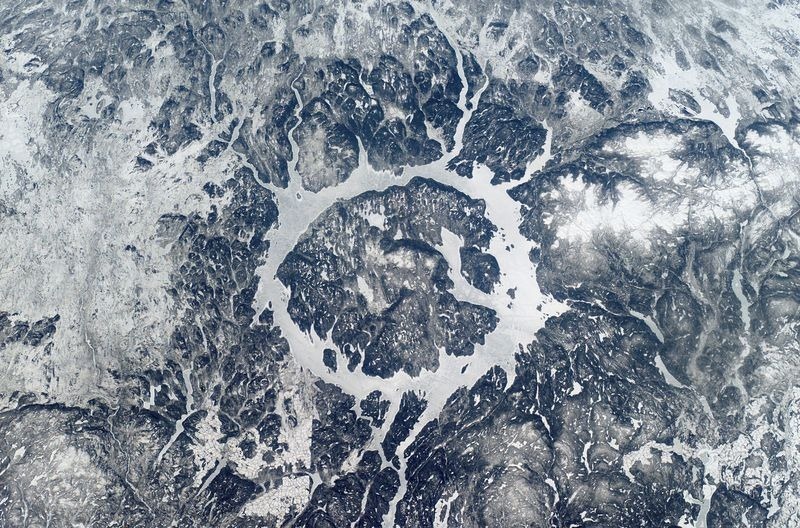 The Manicouagan Crater in Québec, Canada, is one of the oldest known impact craters and is the largest 'visible' impact crater on Earth. It is thought to have been caused by the impact of a 5 km diameter meteorite about 215.5 million years ago. The crater is a multiple-ring structure about 100 km across, with a 70 km diameter inner ring, which is now the Manicouagan Reservoir. 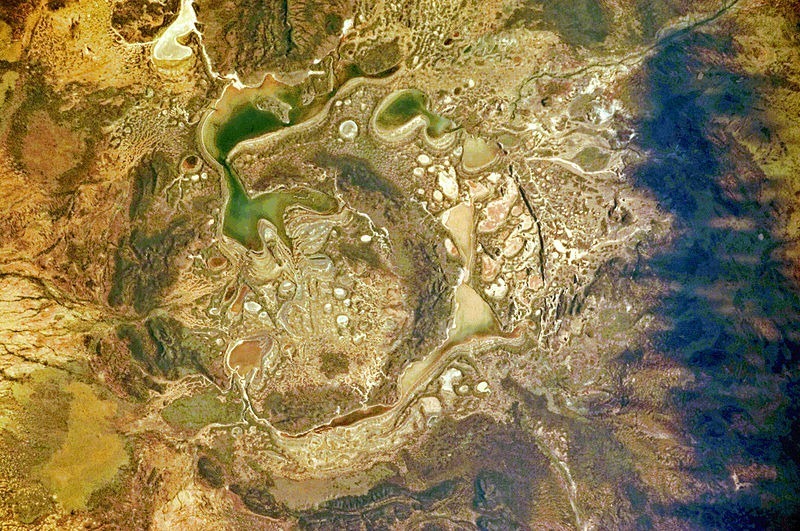 The Shoemaker crater is situated in arid central Western Australia, about 100 km north-northeast of Wiluna. The crater has a central circular region of uplifted Archaean Granite (Teague Granite) about 12 km in diameter, surrounded by a downwarped ring of sedimentary rocks with traces of a rim about 30 km in diameter. The age of the crater is uncertain. 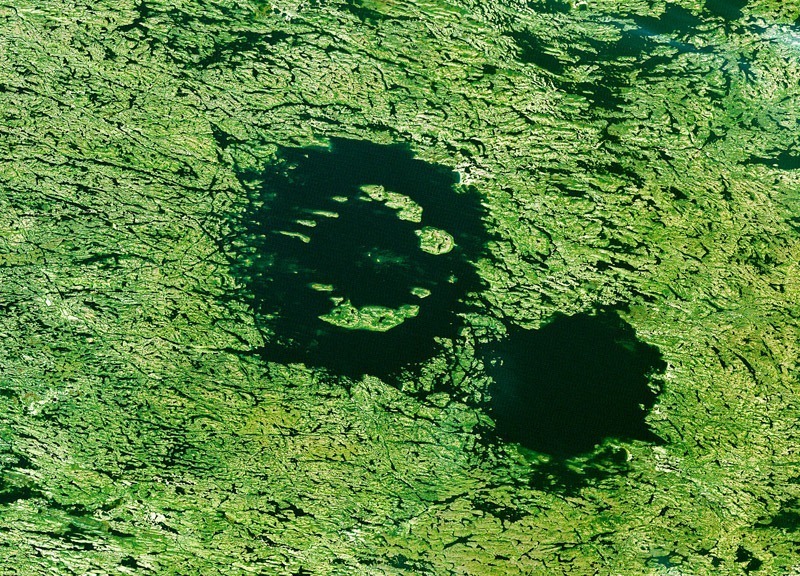 The Clearwater Lakes are a pair of annular lakes on the Canadian Shield in Quebec, Canada, near Hudson Bay, situated inside the near-circular depressions of two eroded impact craters. The eastern crater is 26 km across while the western crater is 36 km in diameter. 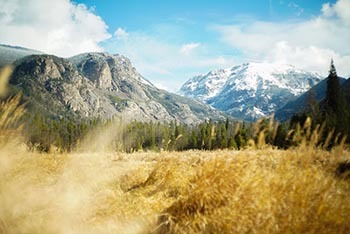 Initially it was believed that both craters formed at the same time in a double impact event, but repeated radio dating of the melted rocks from both impact craters suggests that Clearwater East was formed 460–470 million years ago, whereas Clearwater West was formed 286 million years ago. 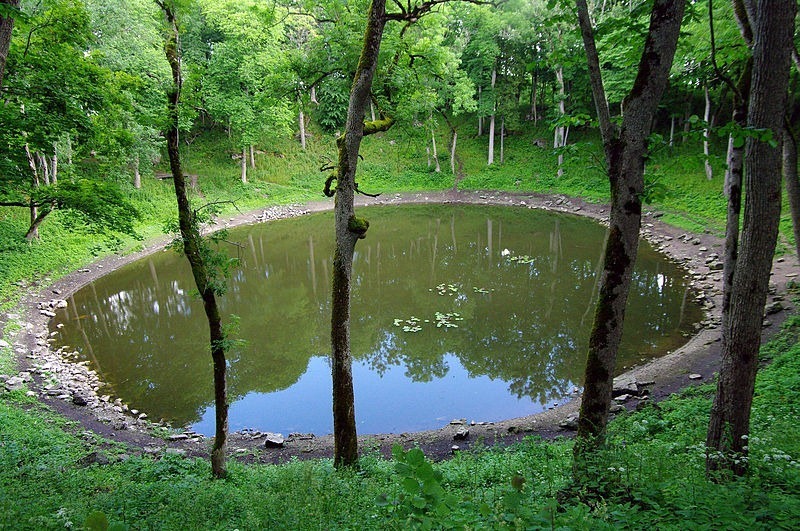 The Kaali Meteorite Crater is located in the village of Kaali on the Estonian island of Saaremaa. 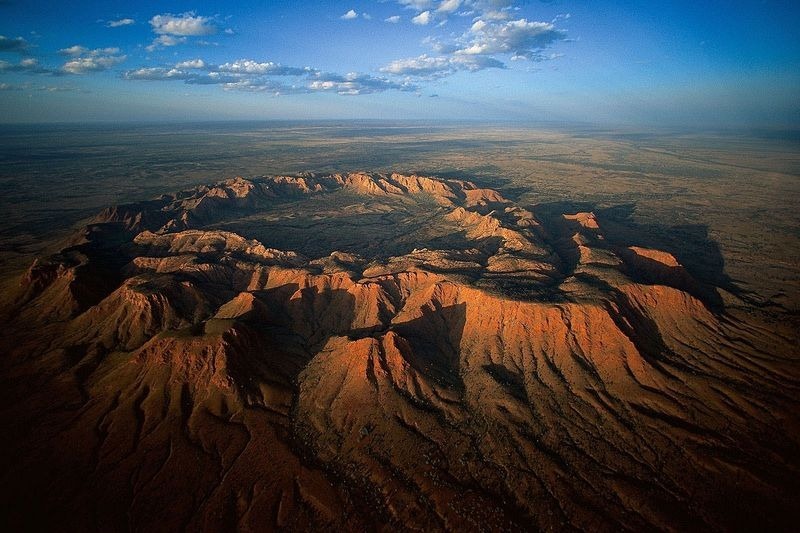 It is one of the youngest impact crater on earth, formed only 7,600 years ago. 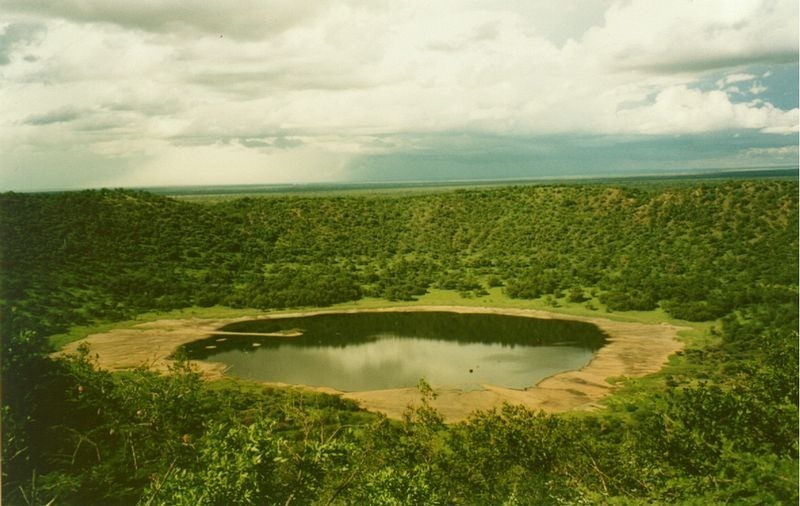 The meteorite that created the crater had broken up during entry leaving a total of nine craters in an area which is now known as the Kaali Meteorite Crater Field. The largest of these crater has a diameter of 110 meters and a depth of 22 meters. Other pieces of meteorite formed smaller craters with diameters ranging from 12 to 40 meters. 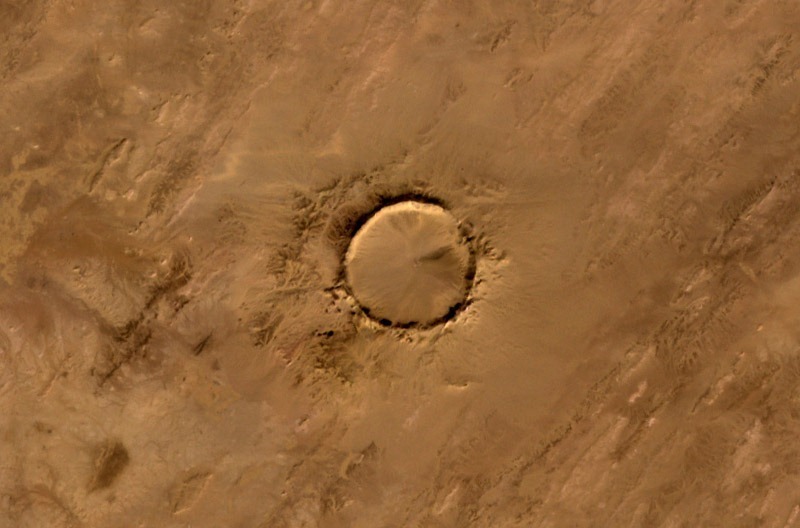 This is another young crater located in the Egyptian desert and was discovered only in 2008 via Google Earth. 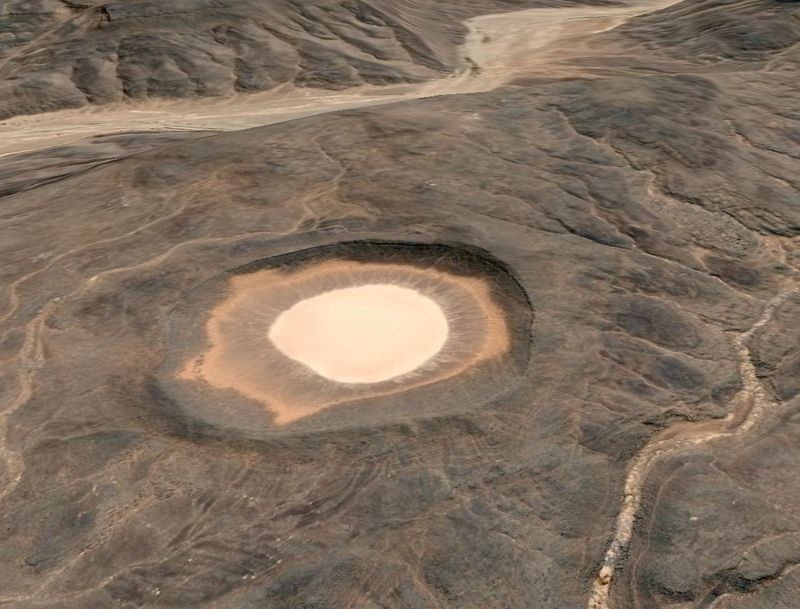 The Kamil crater is about 147 feet wide and 52 feet deep, and was created by a solid iron meteor about 4 feet wide and weighting between 5,000 to 10,000 kilograms that slammed into the desert some 5,000 years ago. One feature that makes this crater unique is the rayed structure that is visible around the crater. These are ejecta rays formed when the meteorite exploded leaving prominent splatter pattern around the blast site. While such ejecta rays are common on Moon or planets with a thin atmosphere, they are exceedingly rare on Earth because erosion and other geological processes quickly erase such evidence. It is possible Kamil Crater is the only impact crater on earth to have ejecta rays. Lake Bosumtwiis situated within an ancient meteorite impact crater, 10.5 km across formed by an impact 1.07 million years go. The lake itself is slightly smaller, at approximately 8 kilometers across and is the only natural lake in Ashanti and Ghana. The lake is now a popular resort area with local people for swimming, fishing and boat trips. There are about 30 villages near crater lake Lake Bosumtwi, with a combined population of about 70,000.